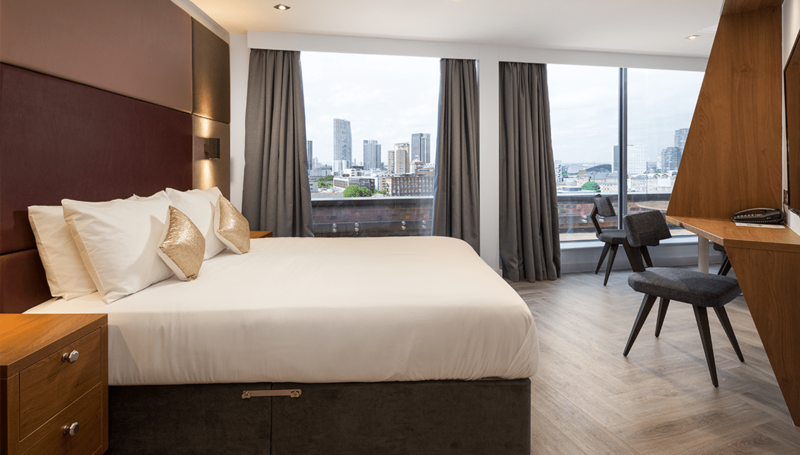 We have an exciting opportunity available for an Assistant Hotel Manager role at Roomzzz York, due to open in July 2019. As an Assistant Hotel Manager your role is to support the Hotel Manager and Hosts in the running of the hotel. You will be responsible for; the revenue management of the department, guest services, duty management, technical training and management of inventory. Roomzzz is an aparthotel chain, offering consumers and business people stylish, quality, city centre apartments, so they can enjoy the spaciousness and flexibility and use all of the extra room to relax, dine and watch TV, entertain – in face, to do whatever they want. At Roomzzz, we’re just all about a lifestyle, a home away from home, and we look after each and every guest as if they were a good friend. Interested in joining our team? Great! Click the link below to start your application and we’ll be in touch soon.